"I used to do team skydiving, once competing in the U.S. national championships, and still try to use a lesson from that experience in my professional life, and to pass it on to my children: Even if the vision is audacious and the environment is high risk, you and your team can mitigate that risk with thoughtful planning and rigorous attention to detail. And still keep it fun." 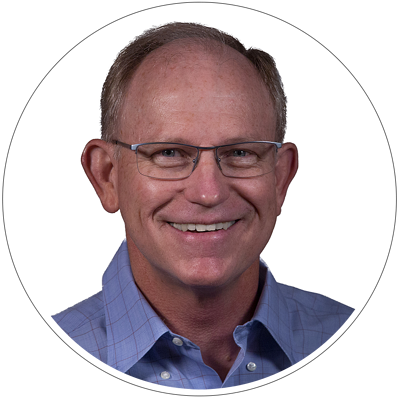 Dave’s experience base includes senior aerospace marketing and sales roles in Asia, leading the turnaround of a Seattle-based manufacturer of construction equipment and founding a venture-backed startup to manufacture petrochemical process equipment. In the ‘90s, Dave served as GE Aviation vice president for China and South Asia, based in Beijing. He and his team closed key early deals on which GE’s leading position in aircraft engines in China is still based today, and he recruited the local national team who are today GE Aviation’s senior leaders in Asia. Dave then moved to Seattle as GE’s leader for its single largest customer, where he helped convince Boeing to make the GE90 the sole engine offered on new models of the 777. He also worked with Boeing’s senior leadership in the early development of the GEnx engine for the 787. Dave left GE to join a group of Seattle-area investors who had purchased two underperforming construction equipment brands. He led the new company, SafeWorks, as it grew into the leading global provider of suspended scaffolding equipment for high-rise buildings, industrial applications and the wind industry. Sales doubled to $70 million and EBITDA grew from nothing to more than $10 million. Dave then led the sale of the company to a large private equity firm, where it and its employees have continued to thrive. Along the journey, he recruited and coached an all-new leadership team which built a customer-focused culture based on lean processes and shared personal integrity. Together they created new products with designs different from legacy construction industry approaches, and launched those new products with higher performance, improved quality and 50 percent lower manufacturing costs. Those new products helped the company enter an entirely new industry, wind power, where it is now the leading global supplier of manlifts for wind towers. Dave subsequently founded Everest Sciences, a startup to design and produce efficient, ultra-capacity process air coolers for chemical manufacturing and natural gas processing. A single Everest Sciences installation is equivalent to taking hundreds of cars off the road. As founder, Dave discovered the technology, acquired the intellectual property and raised the capital. As CEO he led product development as well as marketing and sales, engineering and manufacturing to meet complex commercial and technical requirements. And he personally closed the key early sales to Fortune 100 customers. Today at OneAccord, Dave focuses on three main areas. First, helping create a disciplined approach to executing a strategic plan. Too often companies develop great strategies, but struggle with the management processes and rhythm necessary to execute that plan. Second, helping conceive, develop and bring to market new industrial products. Even when based on existing products and processes, cutting edge industrial design and design for lean can set a product apart from its competition and create opportunities in entirely new vertical markets. And third, helping sell and source industrial products in Asia, while protecting the client’s intellectual property. Dave grew up in Tulsa, Oklahoma. He has a bachelor's degree in mechanical engineering from the University of Oklahoma and an MBA from the University of Tulsa. He completed the requirements for a master's in international affairs from Columbia University (but still sometimes regrets not returning from China to take a written-Chinese exam required for the degree). He holds a professional engineer’s license from the state of Oklahoma.